Awesome Friday! Emily Blunt Archives - Awesome Friday! I’m not one to blindly promote products just for the sake of information, so a Blu-Ray release doesn’t usually inspire me to comment. However, when that film is Edge Of Tomorrow, and there’s a chance you may have dismissed it at the cinema on account of the worst marketing campaign in recent memory, then I have to try and change your mind. For it’s not just Tom Cruise’s best film in years, it’s also one of the finest slices of sci-fi escapism you’ll ever watch. This is one of those times that Hollywood confuses me. Here they’ve gone and made a fun, exciting, engaging, and intelligent sci-fi action movie and what little marketing its had has made it seem like something it’s really not: generic. Yeah, you’re reading this right folks. Edge of Tomorrow is pretty great and you should totally see it. In case you weren’t sure if you wanted to see Edge of Tomorrow here’s a long trailer to try to convince you. Tom Cruise’s future war groundhog day movie does seem to have a story, for better or for worse. Edge of Tomorrow Trailer: Groundhog Day in a Future War Starring Tom Cruise. Trailers / Comments Off on Edge of Tomorrow Trailer: Groundhog Day in a Future War Starring Tom Cruise. 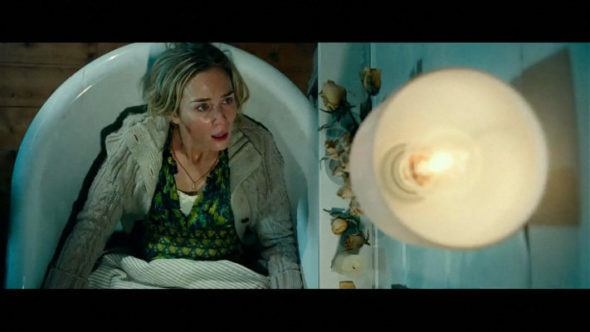 Edge of Tomorrow may be a fitting title for a guy who is basically living out a nightmare version of Groundhog Day, waking up after dying in combat only to be forced to relive that combat over and over again. I, hover, preferred the original title All You Need is Kill. Either way there is a trailer now so let’s take a look.